​Matcha Green Tea - A Superfood to Supercharge You! Find out why many fitness and health magazines are recommending it as one of the top fat burners and why medical professionals have recognised it as a powerful anti-cancer remedy and calling it an antioxidant powerhouse and why millions of people are using it to skyrocket their natural energy levels to super-charges their weight loss regime! What Is Matcha And Where Does It Come From? Farmers harvesting some of Japan's finest matcha green tea leaves. Grown in Japan for more than 900 years and used in a famous Japanese tea ceremony and as a cure for various illnesses and misalignments, Matcha green tea comes from the same plant that all true teas come from Camellia Sinensis. Matcha is a true green tea, but its growth style, harvest, and production style are markedly different from those of other green teas. Matcha is shade-grown for about 20 days before harvest. This will increase the nutritional and value the tea leaves and would help to make it into very high-grade tea. Harvesting of matcha leaves is always done by hand to make sure there is the best selection of the superior and the best quality tea. Contrary to other green teas, tea leaves selected for matcha, called Tencha, are de-veined, de-stemmed and this process is followed by very fine milling of the leaves that is done with stone-ground mills that will result in a fine green powder that is known as matcha. Zen Buddhist monks have discovered the art of brewing matcha back in the 13th century. They have noticed that #matcha improves #focus and helps prepare mentally for battles. Matcha has gained such widespread recognition because of its enormous and well-proven health benefits. Each cup of matcha tea delivers a mega dose of antioxidants to your body. Matcha is packed with exponentially so much more antioxidants than any other super-food out there. One gram of acai berries, which are famous for their high antioxidant content, contains 55 units – however, a single gram of #matcha contains 1384 units! Don’t overlook this powerful source of #antioxidants. Matcha tea contains a unique and very powerful class of antioxidant frequently referred to as catechins. In Matcha tea, there are 10 types of catechins. 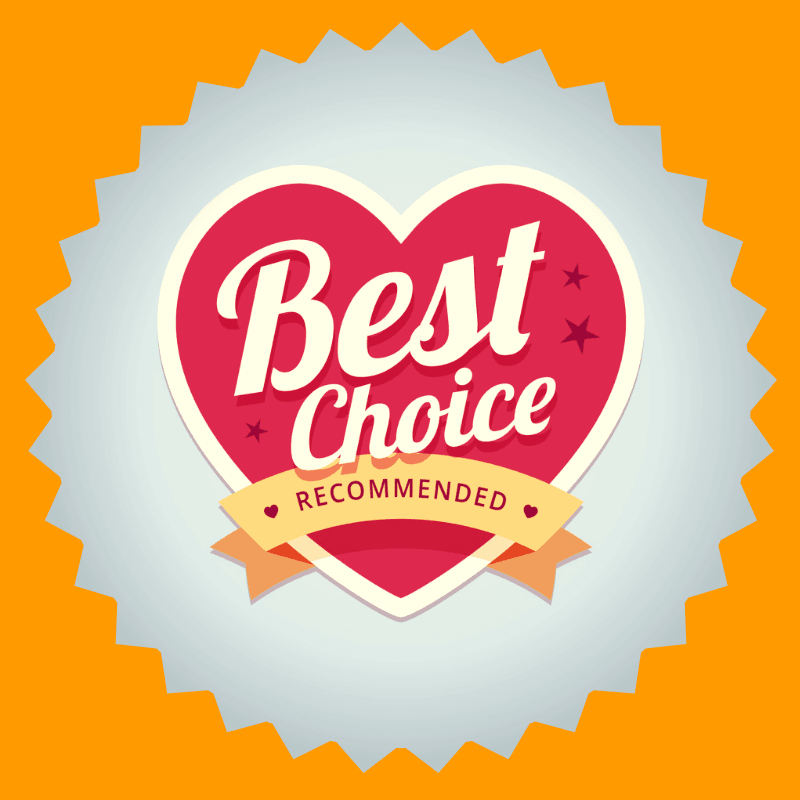 Out of those, epicatechin (EC), epigallocatechin (EGC), epicatechin gallate (ECG), and epigallocatechin gallate (EGCG) is the most important in terms of health and therapeutic benefits. EGCG and other catechins mentioned above would prevent the damage to cells and the DNA caused by free radicals from the likes of UV rays, pollution, household chemicals, radiation and so on. About half of the catechin content in matcha tea is EGCG that provides potent cancer-fighting properties. Here is an approximate nutritional breakdown of the main ingredients in Matcha green tea powder. Nutritional info is for 1tsp or 2g of matcha powder. Addition to strong cancer-fighting properties, matcha is known for helping almost every organ system in the human body. It is anti-diabetic and also cardioprotective, anti-obesity, neuroprotective, anti-carcinogenic, liver protective beneficial for blood vessel health and the list goes on. The only suspension #tea in the world, matcha doesn’t dissolve in hot water. Instead, it simply suspends and - as this is not the most stable condition, the drink should be consumed right after preparation, before #matcha sinks to the bottom of the cup. Losing Weight Is Only A Tea Cup Away! As matcha contains virtually no calories is a perfect addition to any weight loss plan by tackling the weight loss from every angle. It burns fat and boosts metabolism at the same time. It has been confirmed that drinking matcha tea increased thermogenesis which is the body's effectiveness of burning calories from 8-10% to up to 46% of bodies daily energy usage. Also, it is shown that exercising straight away after consuming matcha, resulted in up to 25% more fat burning while exercising. 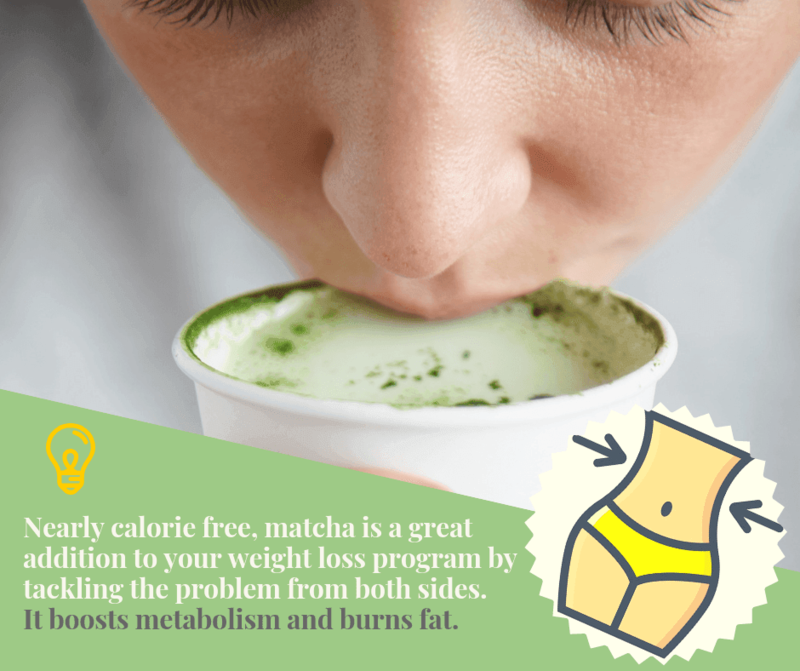 Matcha green tea can also enhance both fat burning and increasing metabolic rate while resting and that will literally super-charges your weight loss regime! Matcha Green Tea is one of the secret "superfoods" that many people are still finding out. It has many time stronger effect on weight loss than regular green tea, and it is a perfect product to facilitate healthy and natural weight loss. Not only matcha has a rich history, but it also has many #health benefits. In addition, #matcha boosts fat #metabolism, making it a popular weight loss supplement. Matcha has been considered as the perfect drink before meditation. A Relaxing Effect On The Body, Yet An Alert State Of Mind. Throughout the year's matcha has been used to aid in meditation practice. Monks would meditate for many hours and during that meditation, they would drink matcha tea to help remain alert but at the same time stay very calm. In the year 1191, the Zen Buddhist monk Eisai wrote in The Book of Tea that green tea could quell indigestion, prevent fatigue and improve concentration and much more. Today, modern science has confirmed all of these claims. Matcha is full of #antioxidants, in fact, it has 137 times more antioxidants than there is in a regular green tea which has protective effects against heart disease, cholesterol plaques as well as helps to control high blood pressure. Matcha energy is unlike any you have experienced before. It has a unique ability to energise the body while calming and focusing the mind. Matcha contains a lot of L-Theanine, a very special set of natural amino acids that is found only in green tea that will bring you in a state of well-being and relaxation by acting upon the brains functioning. While stress would generate more beta waves an agitated, more excited state, then L-Theanine would create more alpha waves, which will lead to a state of relaxed alertness while all the antioxidants and nutrients from matcha are boosting and maintaining your energy. Matcha is also a great blood sugar regulator, and that will give you a clear-minded steady energy throughout the day. Watch the video below to learn how to prepare Japanese Matcha tea the traditional way. Enjoy and master the art of making this truly healthy and delicious drink. Bamboo whisks – or chasen – have been traditionally used to help achieve frothy, creamy matcha texture. Typically handcrafted from a single piece of bamboo, chasens help to create the perfect matcha suspension in water, which makes the resulting beverage deliciously smooth and creamy, without annoying particles at the bottom. Matcha tea set with a bamboo whisk and scoop, perfect for a traditional cup of tea. In addition, authentic bamboo whisks are very durable, making them a great investment for any matcha lover. In saying that, you absolutely can start making matcha without chasens and add it to your collection later. Hot tip: to make this tea traditional way, purchase a Matcha Tea Set, which includes everything you need including a top quality bamboo whisk. Invested in a quality bamboo whisk? Congratulations – time to make perfect matcha! Fill 1/3 of your bowl with hot water to preheat it. To soften the prongs of your whisk, dip them in the same bowl. Then, pour the water out and dry the bowl with a clean cloth. Next, you want to add ½ tsp of matcha powder to the bottom of the warm bowl – either sift it or break the clumps with the prongs of your whisk. Add ~70 mL of hot (not boiling!) water, and then whisk the mixture with one hand whilst holding the bowl in the other hand. Whisk in “W” motion vigorously until thick, creamy froth forms. Yum! 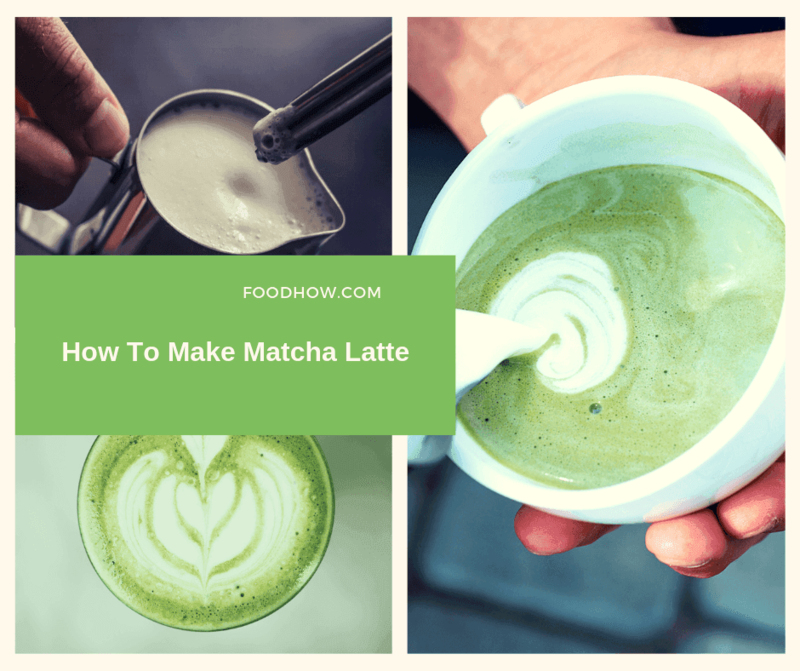 You can prepare your Matcha using just a regular spoon, however, to get a more traditional frothier result you can use a milk frother, an electric whisk or even a shaker bottle. Don’t have a bamboo whisk yet? Fear not, you can still make great matcha. To start, put ½ tsp of matcha into a cup, followed by 1 tbsp. of hot water (hot, not boiling – very important). Mix with a spoon until smooth and all lumps are gone, breaking any clumpy bits against the walls of your cup. Fill the cup with hot or cold water depending on your preference, and enjoy your tasty matcha! Put 1-2 tsp of matcha powder into a cup and add 2 tbsp. of hot water (as always, hot but not boiling, about 80°C). Mix thoroughly with a spoon or a whisk, removing any chunks. Add another 70 mL of hot water, followed by frothy milk. If desired, add sweetener of choice (such as honey) to taste. Boost your daily antioxidants by adding matcha to your juice and smoothies. It is recommended to consume 1-2 servings of matcha a day, that is 1-2 teaspoons. There is no overdose level of Matcha and it can be consumed as much as you desire. If you are not into drinking a massive amount of hot tea every day but would still like to take advantage of the health benefits that matcha delivers then you can try various recipes to add matcha powder to your food, like sups, baking, porridge or blend it in smoothies and shakes. It’s not all about caffeine: a cup of matcha only has 60 mg of it compared to 160 mg in regular #coffee; however, unlike coffee, #matcha can provide as much as 4-6 hours of sustained #energy. Organic Matcha Green Tea Powder - 100% Pure Matcha. Perfect for drinking as a tea, in coffee and juices. Also great for cooking and baking. This Matcha green tea powder is one of the most popular, ceremonial grade, organic Matcha tea that tastes absolutely great and also helps you to lose weight, strengthen your immune system, is loaded with cancer-fighting antioxidants and enhances your concentration and it is also good for relaxation. It Has No Sugar Added. It Is Unsweetened Pure Green Tea And Has No Coloring Added And It Has A Great Taste. 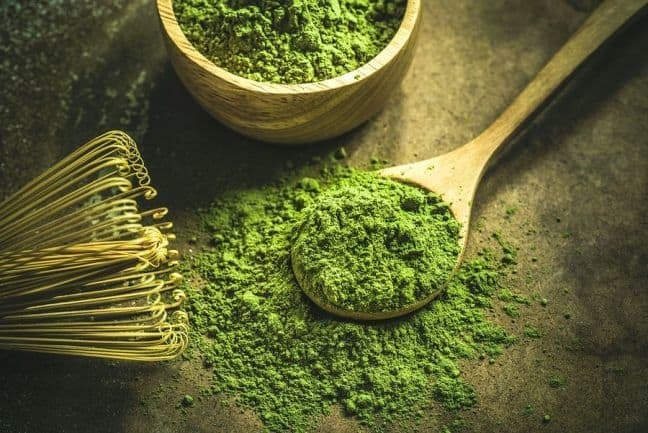 This Matcha powder has some powerful antioxidants that will speed up your metabolism and help you lose weight faster by pushing all the unneeded carbohydrates straight to your muscles tissue where these are used for energy instead of being stockpiled as fat cells. Using this powder will also aid to burn off old and stubborn body fat. It is also well proven that drinking Matcha Green Tea can help you to increase your bodies energy expenditure due to a 'thermogenic' effect on your body when consumed. That is a good news if you are trying to lose some weight and tone up! This Organic Matcha Green Tea Powder is a must-have superfood whit many amazing health benefits. As mentioned above, many studies have demonstrated that Matcha Green Tea contains 137 times more antioxidants than regular green tea. 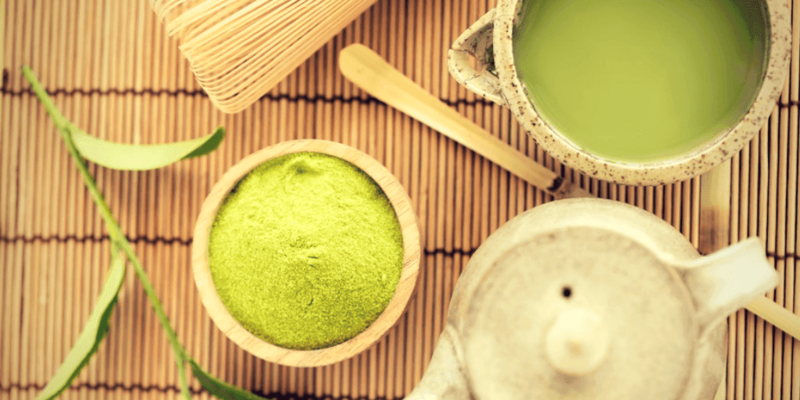 An in-depth research has also shown how much more effective these powerful antioxidants are in Matcha Green Tea compared to regular green tea the other foods. Matcha Green Tea powder contains two proteins,'theophylline.' and 'L-theanine' L-theanine stimulates your brains alpha waves that make you feel energised, calm and alert all at the same time. All of these proteins along with the natural caffeine in this matcha green tea will give you an amazing 4-6 hour boost of energy which is a lot longer than drinking coffee. For many centuries, Buddhist monks have been drinking Matcha green tea before their meditation to improve relaxation and concentration. L-theanine is well known to increase concentration and also improve learning performance. This Matcha is one of the best quality of matcha powders available (ceremonial grade), the content of theophylline and L-teanine is much higher than it is in the lower grades of Matcha. This is the reason why this Matcha has a much smoother taste and amazing flavour than some lower quality powders that can be 'bitter' tasting and not mix very well. This Organic Matcha Green Tea Powder is definitely one of my favourites with some great reviews and recommendations. There are many Matcha green tea brands out there. To purchase this one or choose from a good selection of other great brands of Matcha powders click here. It is possible to judge the quality of matcha by its hue: lower grade varieties tend to have a brownish-yellow tint, whereas high-quality #matcha beverage has a distinct blueish-green hue. I have read amazing things about matcha tea but I have yet to try it. I mainly stick to green tea these days. I will have to try this out though since I am seeing scientific studies backing it. Overall, it sounds safe as well. I had been trying to lose weight for the better part of 2 years will little to no success here. I was actually doing the keto plan and it actually made me gain weight which made me feel horrible. I am a bit cautious when trying anything new now. I will bookmark this page and see if my favourite brand has this tea. Great information! I have been debating on trying this myself. I do drink wheatgrass juice so I would imagine it is not much different from that in taste, maybe slightly nuttier. I know someone who recently started drinking matcha green tea but I haven’t spoken to her in a few weeks so I will have to see how it is going for her. She said she was drinking it mainly to help lose some weight. She had a baby recently. Is it safe to drink while breastfeeding? I actually recently started drinking matcha tea and I have been amazed by the results. I feel like I have more energy, I am not as bloated after meals, and my skin has a nice dewy glow to it! I have only been drinking the tea for maybe 2 weeks now so I can’t wait to see what it does for me long term. Great information! I knew of some of these benefits but wasn’t aware it was this good for your overall health. I have struggled with my weight since my teens and have had some success with green tea but this sounds like it is so much better to use. I will have to try it. Even if I don’t see much weight loss, the other benefits alone make it worth drinking. Is the brand mentioned at the bottom the best kind/the one you recommend? I was searching for some information about Matcha Green Tea and I stumbled upon this post. You have convinced me, I will try it out. I tasted it once and at first time, I did not like it. But now whenever I see a cup of Matcha Green Tea, I can not stop myself from taking a sip. Wow, I like this Tea, I think that I will try to use it in the future. You’ve made my day! 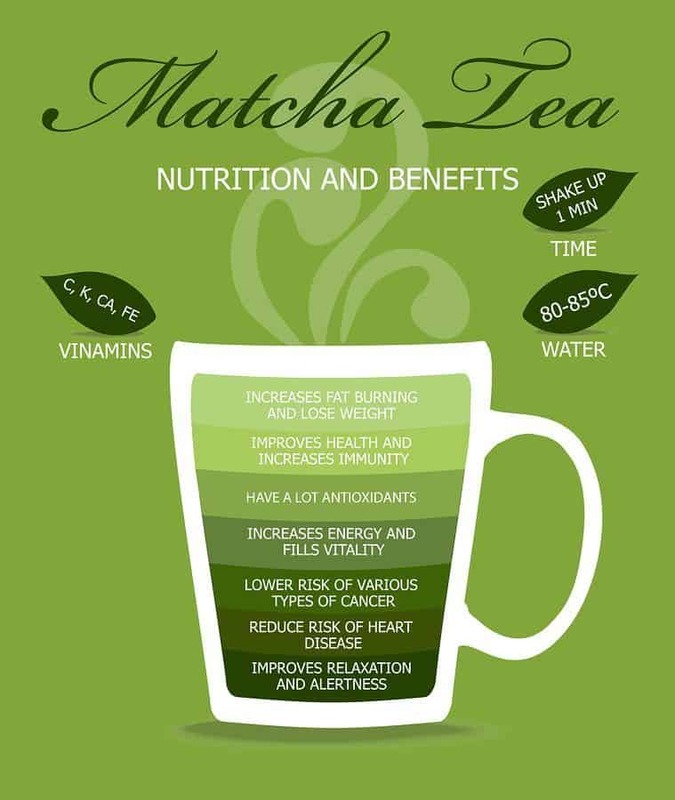 I never knew that Matcha Green Tea has that many benefits. Thank you! I read the whole article very carefully and found that green tea is very beneficial for health. Good home work done before writing this article. Matcha is my favourite tea recently. I drink it in combination with Mate/Yarba tea and feel a real boost of energy! I am always starting my day with a cup of Matcha tea, no other health drink can replace its health benefits, feel so refreshed all day and it has really helped a lot in weight loss for me. Awesome article. I know quite a lot about tea and have yet to try matcha but I can tell you (and everyone else) that when it does come to drinking tea, you want to make sure no matter the brand or source that it is 100% organic! 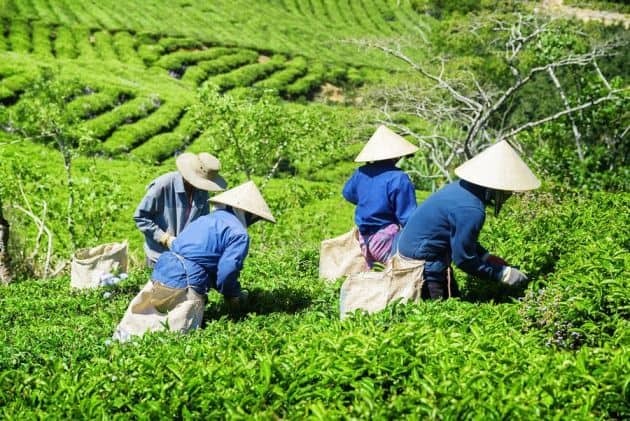 A lot of pesticides get used on plants that become tea and it ends up counteracting the health benefits by loading the body with chemicals that should not be there. I will try the one you have recommended, I did read reviews on Amazon and a lot of people like it. This tea is very good, I feel more energetic compared to coffee…I usually drink one in the morning and one in the evening, because I sleep much better. I had no idea you could actually add this into coffee or smoothies! That makes me even more curious to try it. I am one of those gals that needs my coffee in the AM so being able to add this to that would really make sure I get it in my system. I find it hard to drink teas long term because of my coffee habits. While I do prefer coffee I do like tea but getting them both in one mug is ideal! Matcha tea is very good, it gives me the energy I need. It’s great for energy. I confess I didn’t know this. I bought one packet for 15$ immediately. I bought two packs for my parents because they like to drink green tea every morning and night. For the price of 20$, this tea is excellent for their health. Great product, thank you. since the medicinal aspects of green tea is world renowned, there is no doubt regarding the importance of Matcha green tea. this article touches almost all aspects of this special tea. I use some form of Matcha, every day! Sprinkling it over various dishes and drinking it; does give me energy!! A tip for anybody else out there getting their matcha from Starbucks: don’t! If you look at the package it comes in, ‘sugar’ is the first ingredient – there’s more sugar in it than matcha! Stick with good brands like the one named in this post, and you’ll get way more health benefits. Hey, how much caffeine is in matcha? Hey, I just bought this Matcha green tea, it will be delivered in few days, I have not used Matcha before, just regular green tea. How do I prepare it? That is how I prepare my Matcha green tea, it is quite easy really. 1. Boil some water. 2. Add a few drops of hot water to matcha powder and then mix into a paste with a spoon. 3. Now add more hot water to the paste mixture and stir. Try 1 teaspoon for one cup of water, if you like the stronger taste then you can add more Matcha powder. Hey, Samantha, what Lily said about making her Matcha is ok but that is not the proper way of doing it, to be honest. I do make my Matcha a bit more traditional way, that is called the right way actually. 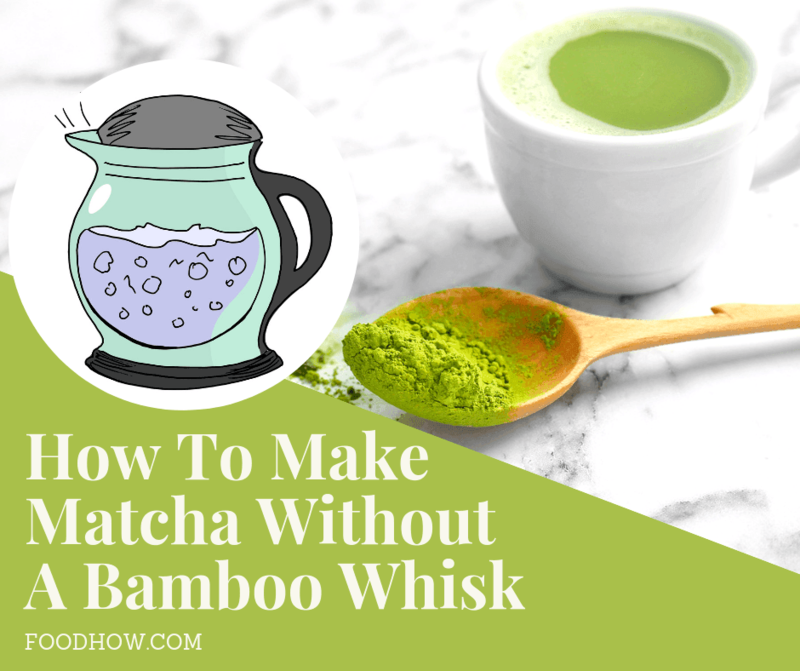 What you need is Matcha whisk and a bowl as you can not whisk it in a mug or a teacup and that is a really the only way to make a nice and smooth cup of Matcha tea that has a fine foam on top. Ok, first, Sift the Matcha powder in a bowl so you won’t get any lumps. Then boil some water and once the water has boiled do not use it straight away but wait about 2-3 minutes. If you use boiling water that will give your Matcha a bitter taste. Now pour water into the bowl and mix vigorously back and forth so that you would get a smooth mixture and nice foam on the top. And now your Matcha is ready to drink. Remember, a right bowl and a bamboo whisk are essential for making a really nice cup of tea. You can get a Bamboo Whisk At Amazon Here for really cheap. This brand sounds great! I have seen it elsewhere online with women raving about it. I will have to try it for myself. I think it is great that there is another way to get even more benefits from green tea then the typical way of brewing it. I mentioned in the other article that I started drinking it about 2 weeks ago and I am loving it! Hello Jen Evansy, Omg, I learnt so much today and I think I learnt everything I need to know about Matcha Tea. All thanks to you. Have a nice day! Very useful article, awesome benefits of matcha green tea, it’s so good for losing weight and for gaining extra energy. Thanks for sharing!